When assessing trial races for the Grand National, the strongest form guide in terms of high-class competitive chasing action has to be last year’s Grand National itself. Horses that fail to complete the course in the National do have a history of returning one year on to land the spoils. The reason for this does make sense as if a horse fails to complete a race their handicap mark can’t be affected. 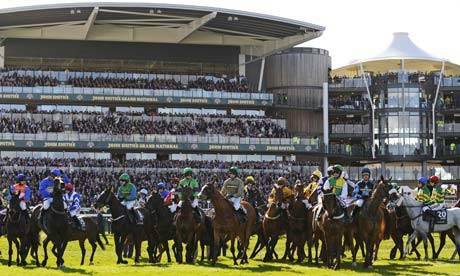 The Grand National is no ordinary race in that regard with horses failing to finish the race for more reasons than just falling or pulling up. There are many unfortunate tales in the National regarding horses who have been brought down when going well or unseated their rider because of an infringement from another horse. 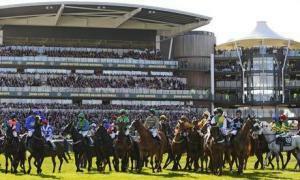 Betvictor are all set for the Grand National by offering free bets worth £25 PLUS they are paying 6 PLACES each way! Red Marauder, Hedgehunter and Silver Birch all fell in previous Grand National’s before winning the race and all eyes will be on ante-post favourite On His Own, who is an 8/1 shot with William Hill, to see whether he can add his name to that illustrious list. Under Paul Carberry, the lightly raced but progressive chaser and winner of the Thyestes Chase pre National, was jumping and running very well last season until coming down at Becher´s second time, where he brought down the ill-fated According To Pete. Ever since the horse picked himself off the turf, trainer Willie Mullins will have been thinking about this year’s race, where Ruby Walsh should be ready to take the ride. Who knows what would have happened last year if he didn’t come to grief, but there is a good chance we’ll find out this year as the handicapper has left the Mullins charge on the same mark. Sunnyhillboy, a 20/1 shot with Bet365, will head into this year’s race as the highest placed finisher from last year’s race after being narrowly denied by winner Neptune Collonges. He was desperately unlucky to lose on the line, compounding a bad day for connections, who had to endure losing Cheltenham Gold Cup winner Synchronised. He was never far away from the pace and was produced seemingly perfectly by Richie McLernon to lead jumping the last fence. However, after going a couple of lengths clear the gelding began to falter in the last 100 yards and was caught in the shadow of the post. It was a huge effort from a very small horse and he has to enter calculations this season. There will be plenty of supporters for Seabass after his effort last season. Under Katy Walsh the progressive chaser finished third and is a 10/1 chance with Paddy Power to go two better this year. Last year he stayed the trip really well, having been up with the pace throughout, and only weakened from the elbow. Cappa Bleu, a 16/1 shot with Paddy Power, ran pretty well to finish fourth last year, especially considering he was badly hampered early on in the race. Elsewhere in terms of trial races, and Bindaree, Red Marauder, Earth Summit and Rough Quest have all run in the Hennessy Gold Cup and then gone on to win the Grand National, which bodes well for the chances of Teaforthree, who is a 16/1 chance with Bet365. Rebecca Curtis’ charge finished sixth in the Newbury feature handicap behind Bobs Worth. The Bobbyjo Chase at Fairyhouse has yet to produce a Grand National winner but that could change this year as third favourite at 12/1 with Bet365 Prince De Beauchane looked a good prospect when finishing second in Ireland. He actually won this race in 2012 before being ruled out of the National with an injury, but looks in rude health 12 months on as he stayed on well in behind winner Roi Du Mee and shaped like there will be plenty more to come at Aintree.